The IHA House League is an affiliate of the Atlanta Phoenix Hockey Club travel program and provides players the opportunity to compete in a recreational hockey league while developing strong hockey skills and a lifetime of memories. The House League also serves as a feeder program for the Atlanta Phoenix travel teams. Each year, the best house league players are selected to play on the IceForum All Star Selects which competes in several "B" level travel tournaments. With a 2:1 practice to game ratio, equal ice time policy, and USA Hockey certified coaches operating under the IHA coaching model, the house league program is designed to properly develop strong skills and habits that will help players enjoy the game of hockey for many years and springboard them to the next level. The IHA House League provides young hockey players the freedom to develop creativity and confidence in an environment where they will naturally understand the basic flow of the game of hockey. For players desiring to play at the more competitive travel level, the IHA house league has proven for many years to be the perfect development program to prepare players for the higher levels. 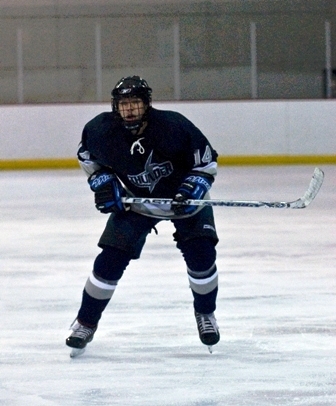 The IHA House program has produced some of the most successful travel league players in the state of Georgia. 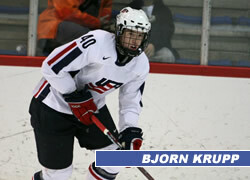 Several IHA House League alumni are currently playing at the Junior, College and International levels, including Bjorn Krupp who is currently playing on the OHL Belleville Bulls! Other former players include Jan Kaminsky, Michael Lant, Teemu Tiitinen, Jordan Cosby, Perry Holcombe and Ben Roush who have been selected to the USHL draft list. The IHA House League not only produces great hockey players, but also provides Life Lessons and great memories that players will benefit from their entire lives!